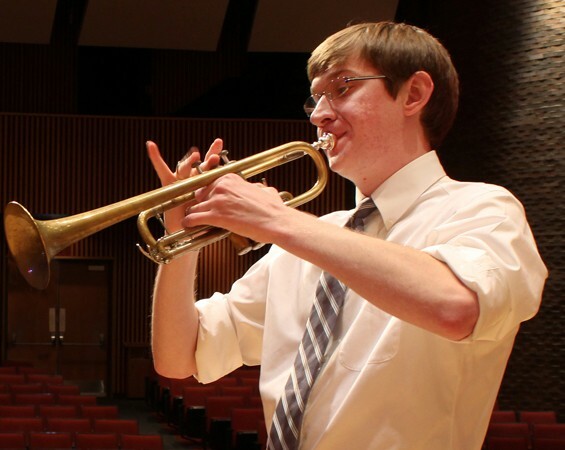 Ross is a professional musician in the D.C. area who specializes in music composition and trumpet performance. He holds a Master of Music degree in Trumpet Performance from Western Michigan University, and has worked on scores for films and video games, as well as more traditional works. He's currently working on several projects, including music and sound effects for Raizin Studios' game Aurora. Additionally, he has performed at the Maryland Renaissance Festival, taken on a private teaching studio, and presented at Georgia State University. 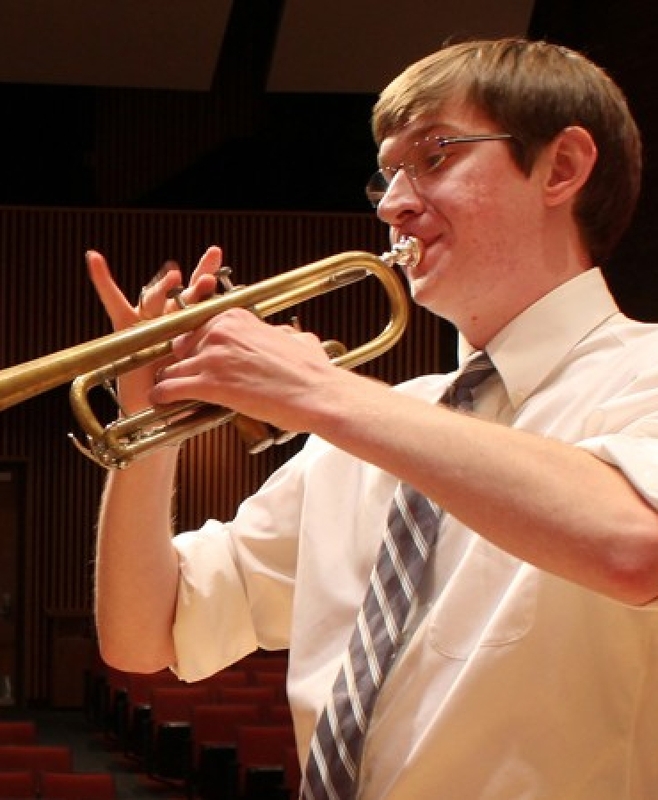 Matt is a Presidential Fellow at SUNY Buffalo, where he is a PhD candidate in music composition and also works as technical director for the Center for 21st Century Music. He also holds a Masters from the Hartt School of Music. He is currently a visiting lecturer of music composition and electronic music at Bard College. His music has been heard at performances and installations across the country. Lauryn is the Special Events Coordinator at the John F. Kennedy Center for the Performing Arts. Previously, she worked at the Advancement office of the Smithsonian Institution. While she was at St. Mary's, she majored in music and studied abroad in Alba, Italy. An important advantage to the study of music in this liberal arts curriculum is that it allows students the flexibility to pursue varied interests and to expand, rather than limit, their career options. Our graduates, particularly double majors and music minors, are also employed in a huge range of non-musical fields, including medicine, science, law, technical writing, business, public service, and non-music education. Most remain actively involved in music making of all kinds. Stay connected no matter how far from St. Mary’s you may roam. Keep us updated on where you are and what you’re up to. 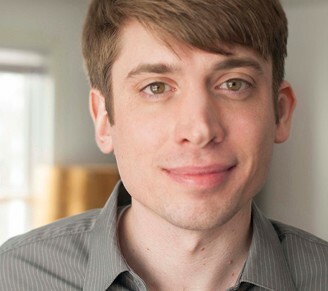 An avid musician, Kenny Neal has recently received his first Helen Hayes Award nomination for outstanding sound design for his work on the 2015 production “Old Wicked Songs,” at 1st Stage in Tysons, Va. Kenny worked as a senior communications specialist at MCI producing videos, writing, and editing. Currently, Kenny is an education media producer at the John F. Kennedy Center for the Performing Arts in Washington, D.C. as well as a freelance theatrical sound designer. Before joining the University of Denver’s Lamont School of music, Maura was an accomplished cellist and intern for the River Concert Series. Currently, she manages all of the internal concert operations of Denver’s Lamont School of Music and holds the title of concert production and facilities manager. Florence is finishing her first year of graduate study at McDaniel College in Westminster, MD, where she is studying towards a Masters of Science in Special Education. Paul is currently teaching elementary music (Band, Strings, and General music K-5) at Lexington Park Elementary School as well as performing a gig every now and then as a drummer or hand percussionist or orchestral percussionist with various groups in the area. He books the entertainment and provides sound reinforcement at the new Port Of Leonardtown Winery, and lives in Lusby. After earning his B.A. he successfully completed the MAT program at SMCM (Music K-12 certification) and now serves on the MAT advisory committee. In May 2010, Ginny graduated from Yale University with an M.A. in International Affairs and concentration in German and French language; her thesis focused on the evolution of Alban Berg’s Wozzeck from the Woyzeck-trial dramatization of Georg Büchner. She then worked for Yale as a coding specialist on “The Changing Patterns of Warfare Project,” a quantitative study of international conflict. In Autumn 2010, Ginny moved to Canada and completed a research project for the Literacy Coalition of New Brunswick, a Canadian educational non-profit. 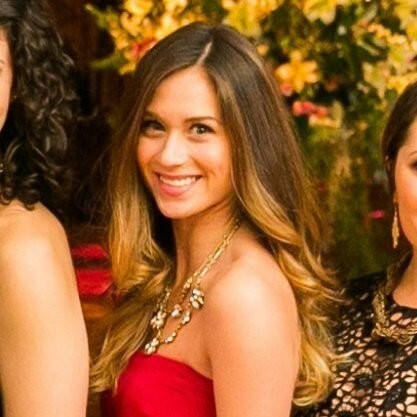 She returned to the U.S. in January, and worked as a teacher in Fredericksburg, VA. At present, she works for an engineering and consulting firm in the area of business management and development, writing contract proposals and bids for major projects, as well as some business networking. She continues to develop her love of music through piano, choir and frequent concert attendance. After working in education at a non-profit in Washington, DC at the first all-girls public school in DC’s Ward 8 community, Lauryn is now at the Kennedy Center, working with their Board of Trustees and in an events capacity within the Office of Development. After working for five years as a project management consultant, Tenley returned to academia to pursue a career in music. In 2010, she received a Postgraduate Diploma in Music from University of Leeds (UK), focusing on ethnomusicology and performance. At present, she is pursuing a Masters in ethnomusicology with a minor in percussion performance, for which she is completing two dissertations, one on UK clubbing culture and the other on the UK flamenco craze, with the intention of presenting both at conferences in Fall 2011. Robyn is earning her Master’s in Voice Performance at Mannes College of Music under the tutelage of Ruth Falcon, Beth Roberts, and Josh Greene. Jennifer graduated from Westminster Choir College in 2006 with a Master of Music Degree in Voice Performance and Pedagogy (Performance concentration). Since moving to the Los Angeles area in 2007, she has performed in roles with various local opera and music theatre companies, including Opera Santa Barbara, Long Beach Opera, and Musical Theatre International. She also has appeared as a soloist with several choral and orchestral organizations in the area including the Los Angeles Choral Artists and Verdi Chorus. Currently, she is starring as Woman #1 in Jason Robert Brown’s “Songs for a New World” and preparing the soprano solos for “Carmina Burana” with the Glendale Concert Singers and Orchestra. During the day, she is a Traffic Associate (broadcast scheduler) for 89.3 KPCC, the leading NPR affiliate in Los Angeles. Chuck currently teaches Band, Orchestra, and Advanced Placement Music Theory at Clarksburg High School in Montgomery County, Maryland. He helped found the school in 2006, and under his direction the instrumental music program has grown considerably. He previously founded the instrumental music program at Northwest High School, also in Montgomery County, when that school opened in 1998. The ensembles Chuck directs consistently score well at festivals and competitions throughout the region. His students have been selected for Maryland All-State Band, Orchestra, and Jazz Ensemble, Montgomery County Honors Band, Orchestra, and Jazz Ensemble, Maryland Classic Youth Orchestras, the John S. Martin Honors String Quartet Program, and the National Symphony Orchestra Young Associates program, among others. His students have gone on to study music at such prestigious institutions as Peabody Conservatory, Hartt School, The New School, University of Michigan, Indiana University, University of Miami, University of North Texas, Rice University, and St. Mary’s College of Maryland. While on an international tour while at St. Mary’s, Chuck realized the power of music as an international force for cultural exchange and goodwill, and he has made that a focus of his teaching. His students have twice performed in major festivals in Shanghai, China, and he has hosted performances in the US by the famed Golden Sail Orchestra from Beijing. He has also helped establish a cultural and educational exchange program between Clarksburg High School the Jing’an Education District in Shanghai. Chuck was named a Joseph B. Whitehead Educator of Distinction in 2004, and received the Washington Post Agnes Meyer Outstanding Teacher Award in 2011. Jackie received a Masters in Music Education in 2000 from Shenandoah University. She currently teaches music in the St. Mary’s County Public Schools in Maryland and is working on a PhD in Education with a concentration in Curriculum and Development. Matt is currently pursuing doctoral studies as a Presidential Fellow at SUNY Buffalo. He also holds Masters in Music Composition from the Hartt School of Music. Since leaving St. Mary’s, he has maintained an active and varied music career as a composer, performer, and music educator. As a composer, his compositions and sound installations are frequently heard in art spaces and universities across the United States and Europe (details can be found here.). Highlights in 2010-2011 have included residencies at the Goldwell Open Air Museum (in the foothills of Death Valley), the Atlantic Center for the Arts, and University of Nevada Las Vegas, as well as a sound installation commission from the Yale University Haskins auditory labs, and concerts of his music at the Machine Project (Los Angeles, CA), the Wulf (Los Angeles, CA), and the Neighborhood Music School (New Haven, CT). In 2007, he founded the Hartford Sound Alliance, a contemporary music ensemble, which recently completed a Spring 2011 residency at the Studio@Billings Forge (Hartford, CT), where he curated the Hartford New Music Festival. As an educator, he has been a professor of music and recording arts at Capital Community College and the Hartford Conservatory, as well as a youth music director at the Hebrew High School of New England and Middlesex Academy for the Performing Arts. Jeremy is finishing a Ph.D. in history at Indiana University. His dissertation focuses on charismatic movements in U.S. history, particularly during the American Progressive Era (the early 20th century). In his spare time, he enjoys writing the occasional classical composition and singing in a church choir.